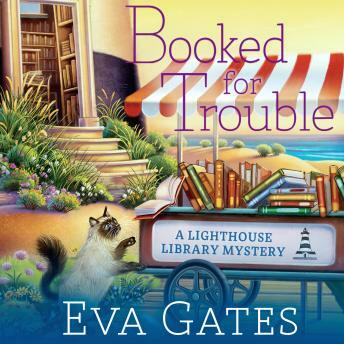 Lucy has finally found her bliss as a librarian and resident of the Bodie Island Lighthouse. She loves walking on the beach, passing her evenings with the local book club, bonding with the library cat, Charles, and enjoying the attention of not one, but two eligible men. But then her socialite mother, Suzanne, unexpectedly drops in, determined to move Lucy back to Boston and reunite her with her ex-fiance. To make matters worse, Suzanne picks a very public fight at the local hotel with her former classmate Karen Kivas. So, when Karen turns up dead outside the library the next morning, Suzanne is immediately at the top of the suspect list. Now Lucy must hunt down a dangerous killer before the authorities throw the book at her poor mother.